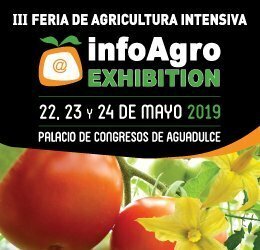 Two weeks before the Global Berry Congress, Camposol announces that, with a volume of more than 24 thousand tons, it finished year 2018 as the largest exporter of blueberries in Peru. Also that year, the leading agro-industrial company in providing healthy food to worldwide families will be sponsor of the Global Berry Congress that will be held on March 25-27 in Rotterdam / Netherlands. Camposol’s blueberry exports, which began in 2011, amounted to 24,871 tons in 2018, a growth of 82% regarding the previous year. During that same period, production increased 88%, from 13,990 to 26,256 tons. North America continues being the main market with almost 60% of exports, followed by Europe (27.2%) and Asia (11.4%). As part of its commercial strategy, the company continues to have a strong presence in digital media, such as Facebook, Instagram, Linkedin, YouTube, the website and an own blog where the company intends to approach its consumers with quality information to actively participate in the healthy lifestyle they wish. Recently, Camposol Cares has exceeded the 100 thousand Facebook followers, and we are also focusing on Instagram, which is the tool that is growing the most among our target audience. “This success confirms us that the contents Camposol offers in the social media respond to the concerns and interests of the consumer that looks for healthy high-quality fresh fruit that is grown according to the strictest social responsibility standards and with methods closed to nature. We are constantly in touch with our consumers and we appreciate their ideas and suggestions as they are our inspiration to innovate”, concludes Jorge Ramírez. According to the Peruvian company’s CEO, during the last season Peru will probably have similar export volumes than those Chile has, and during the next years, Peru could surpass Chile as supplying country. 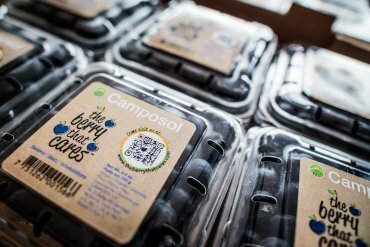 Camposol’s blueberries are already present in 20 of the top 25 supermarket chains worldwide, and Camposol foresees a further volume growth in all markets for 2019. “Based on our main markets in the United States and Europe, the good growth perspectives in China, Japan and other Asian markets, and the strong investments we are doing in technology, we are convinced that blueberries will continue being a relevant product in our fruit supply,” states Jorge Ramírez. “Likewise, our recent election by Win Chain as the strategic blueberry supplier (aside from avocado) for Alibaba in China does only confirm that there are many opportunities for this product around the world,” held Ramírez.